Here at 4YourDyson we provide the parts you need at prices you’ll love. Our online ordering service is quick and easy to use with speedy delivery available to get you the Dyson spares you need in next to no time. We stock a huge range of Dyson spare parts for all models of vacuum cleaner: From Dyson belts to Dyson motors; a Dyson hose to a Dyson battery - whatever spare parts you need to repair your machine you can be sure 4YourDyson will stock it. 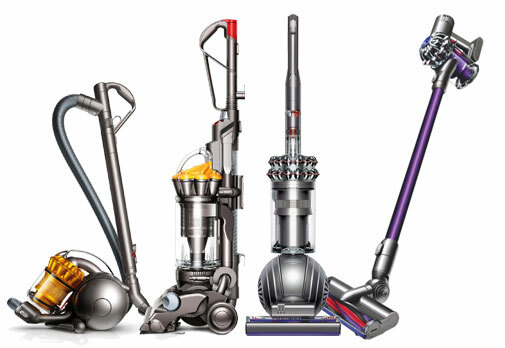 Not only does 4YourDyson offer a fantastic range of genuine Dyson parts and accessories, we also stock high quality, cost saving pattern alternative Dyson spares and accessories. These great value Dyson spare parts are guaranteed to match the quality and specifications of the original parts but at just a fraction of the price. Just look out for the Qualtex Cost Saver logo! But apart from the original manufacturer parts and accessories we also stock high quality, cost saving, best value for money, replacement parts and accessories. Giving you high quality items with a fraction of the cost. Look out for the Qualtex alternatives at lower costs. An example of this is the Vacuum cleaner dust bags range. We stock nearly 500 different bags in the qualtex cost saving range alone. Only dustbags of the highest quality are supplied by us. The whole range meets or surpasses the specifications and standards of the original manufacturers. 4YourDyson deliver when it suits you. We have a wide variety of delivery options available from standard delivery to Next Day delivery for people who are looking to get there product delivered fast. 4YourDyson Manchester main distribution warehouse of 120,000 sq ft on 4.5 acres provides the facilities of stockholdings in excess of £6 million Pounds, assembly and packaging. All orders from this website are dispatched from our North East depot.